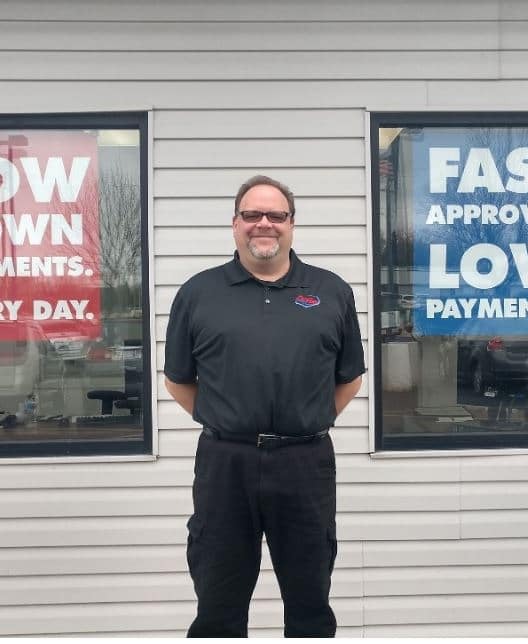 If you live in the Appleton, Wisconsin area and have been turned down for a car loan in the past, don’t worry – CarHop will work hard to get you approved and driving, even if you have bad credit! Open since 2012, our team is eager to help you like we’ve helped so many other Appleton residents get a great used car! Angelica was amazing. She followed through with every promise and then some. Great experience buying another vehicle from CarHop. The sales staff stayed after hours to get our family a vehicle the same day. They sold us an SUV less than blue book price and also with a warranty and agreed to additional repairs needed. Polite and pleasant salespeoples that get paid hourly, so it was a no-pressure sales situation unlike commision-based car lots. They put on a Disney movie for our kids while we waited and had purified drinking water available, as well. Our family appreciates the extra space after upgrading our car with them. Thank you! I'm very proud of the respect we got from getting a car-Joe and Angelica is very nice to their customers.We want to say thank you so very much for the help we got today. While there are a number of fun and interesting things to do in Appleton, taking advantage of all your options for recreation can be difficult if you don’t own a car. Public transportation here is basically limited to the bus service, with a downtown trolley service available during the summer months only. It’s clear that if you want the freedom to travel across town, to surrounding communities like Greenville, or across the state whenever you want, you’ll have to have a car of your own. 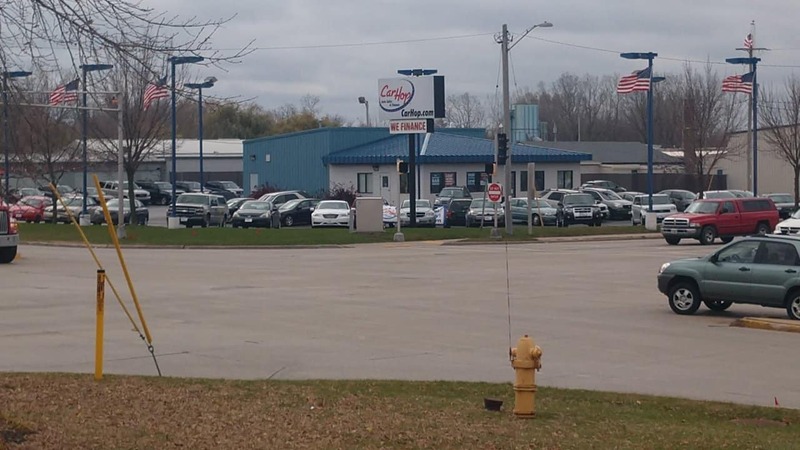 At Carhop of Appleton, we offer a wide inventory of used cars for you to choose from, all affordably priced. Plus, with our budget-friendly financing, we can help you get get behind the wheel of the car you need today! Still think public transit might work well enough for your needs? Explore the available public transit options, and judge for yourself. Valley Transit: Serving Appleton, Buchanan, Grand Chute, Harrison, Kaukauna, Kimberly, Little Chute, Menasha, and Neenah, Valley Transit provides fixed route bus service, paratransit, and on-demand response services to residents. Looking to travel outside of the fixed route offered by the bus? Sadly, you’ll be out of luck. 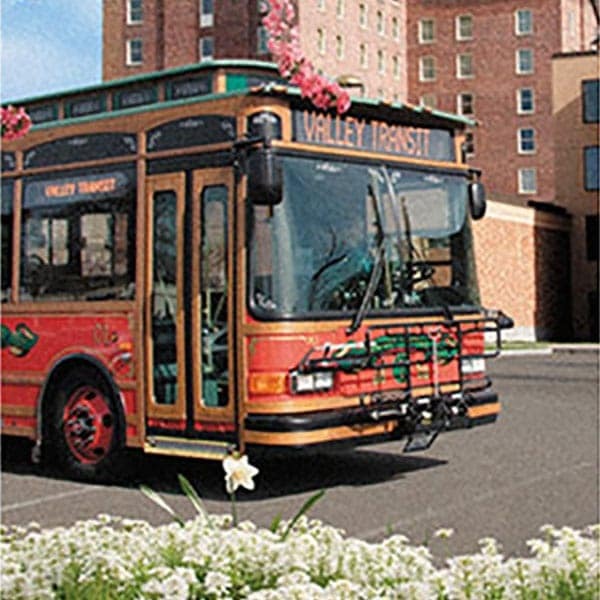 Trolley: Valley Transit and Downtown Appleton, Inc. have partnered to provide free trolley service in the downtown and riverfront areas. It’s an enjoyable way to see the sites and shop, take in downtown events and restaurants, and more. However, the trolley service only runs from June to September and even then is only available Thursday and Friday from 5:00 PM to 11:00 PM and Saturday from 8:00 AM to 11:00 PM. 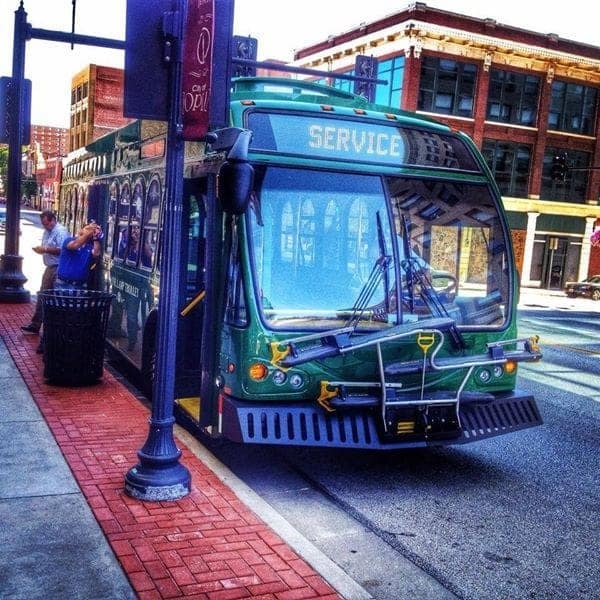 So if you need to get around Monday, Tuesday, Wednesday, or Sunday, or any time from October until June rolls around again, the trolley is, unfortunately, a big no-go. 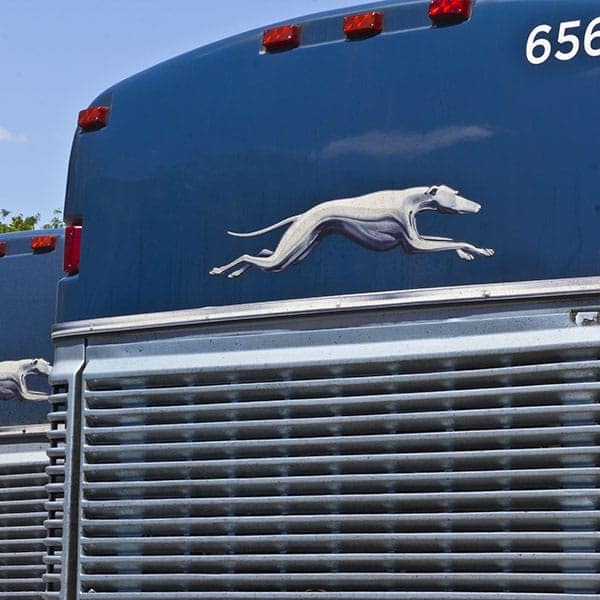 Greyhound: If you’re need to travel to someplace farther out of town, the Greyhound bus is an option. Their station is located downtown at 100 E. Washington Street and is open Monday-Friday from 5:30 AM to 9:45 PM and Saturday from 7:30 AM to 9:45 PM. Simply needing a means to navigate around Appleton? The Greyhound is regrettably not a viable source of transportation if you’re only needing to get around our fair city. The limited options for public transit in Appleton certainly make the prospect of owning your own car even more attractive. 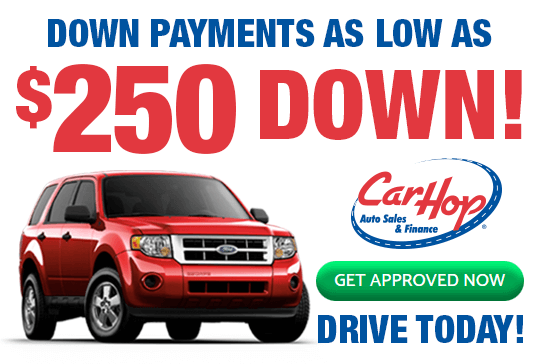 Fortunately, choosing a used car from CarHop is not only easy on your budget, but since we are a Buy Here Pay Here dealership, we can make it quick and hassle-free to get a car loan on the spot, even if you have a bad credit rating. We also provide our customers with a great warranty on top of our 7-day satisfaction guarantee. 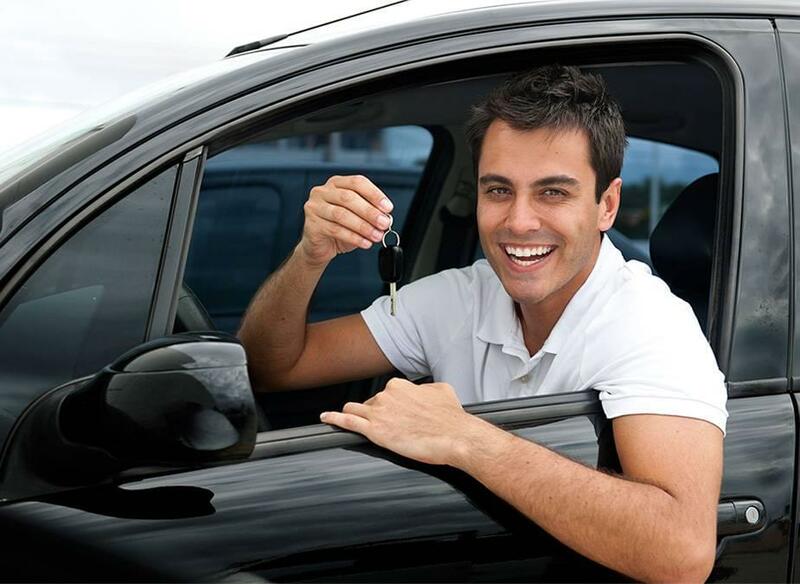 Stop by our Appleton used car dealership, and learn how we can help you drive home in a reliable used car today!